A developmental psychologist examines the effects of human development throughout all ages of maturity and finds ways to apply this knowledge constructively. This field of study encompasses a wide range of subject matter, including many issues specific to senior adults. Developmental psychologists assist the elderly in a number of ways, ranging from practicing direct therapy with clients to participating in research into age-related health concerns. Developmental psychology is closely related to several other fields within the psychology profession, including behavioral gerontology, behavior analysis and geropsychology. Understanding how social interactions and environmental factors influence people’s mental state over time is an essential component of developmental psychology. Applying this knowledge allows psychologists to optimize living spaces and educate family members or other caretakers on strategies for encouraging healthy living. Many nursing homes and other long-term living facilities use the skills of developmental psychologists to design and implement programs. Managing the environment and social context of an elderly person’s life helps to encourage engagement and a healthy lifestyle. Elderly people face several fundamental biological and social changes that can impact virtually every aspect of their life. Diminishing physical fitness, energy levels and overall health can result in profound shifts in mental and emotional states. Developmental psychologists assist the elderly by addressing these changes and guiding patients towards a productive, positive attitude about their life. Psychologists may also consult with friends and family members to integrate them into the therapy process. Many experts in developmental psychology pursue roles outside of standard clinical and therapeutic care. Some assist the elderly by working with government agencies to establish policies and guide their implementation in social programs. With the United States facing an unprecedented number of elderly adults with health concerns, policy and administrative positions may become increasingly important in the future. In fact, the total number of older adults with mental and behavioral health problems is expected to reach 15 million by 2030, according to the American Psychological Association. The field of developmental psychology is heavily research-oriented, so many professionals spend their time examining information, conducting studies and testing theories. Researchers may work for private institutions, as university staff members or as part of public programs. Research projects cover a wide range of topics and perspectives, including age-related differences in learning habits and ability to perform essential activities of daily living (ADLs). 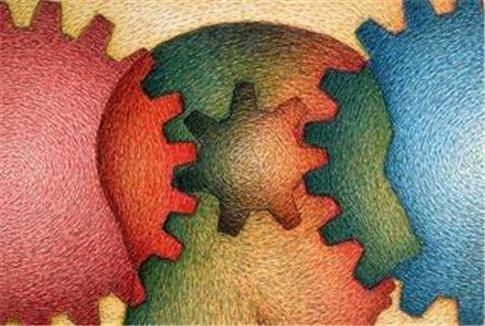 Developmental psychologists may also work as part of a large, diverse professional team to examine interdisciplinary issues, like memory loss or identity perception. A prospective developmental psychologist should be prepared to complete a graduate and doctoral program in order to progress their career. Students typically have an education and background in psychology from their undergraduate education, but there is some flexibility in program selection and coursework. While the field includes numerous complex and potentially controversial topics, there is little doubt that developmental psychologists serve an essential role in providing vital assistance and support for the elderly.